Large and luxurious, the Paris Sofa is a real statement piece. Manufactured in the UK, the Paris blends top quality fabric with chrome legs add a modern, contemporary feel. We specialise in cheap fabric sofas but we never compromise on the quality of our sofas. Manufactured in the UK they can be delivered to your door very quickly and we offer a full refund to anyone not happy with their choice. We feel that you will be so happy with your choice of the Grey fabric sofa that we offer a full refund on your purchase. 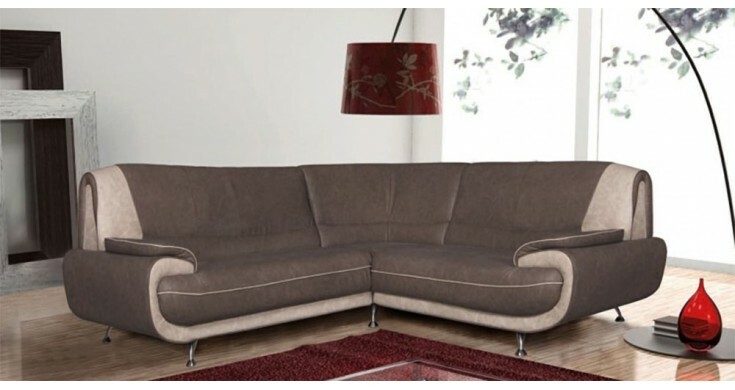 We manufacture this sofa in the UK so can have it delivered to your home quickly and efficiently. We can even help set it up in your home for you. Available in various ranges, e.g. 3 seater, 2 seater, arm chair, and corner suite.